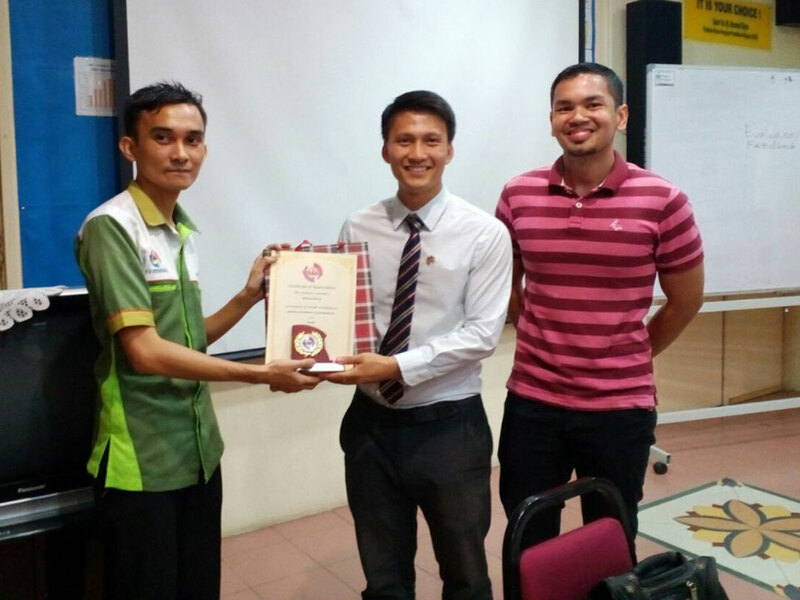 We are proud to announce that among five winners of the Teachers At The Heart Competition run by Macmillan Education globally there is a truly inspiring teacher from our region, Sirhajwan Idek from Keningau Vocational College in Malaysia. 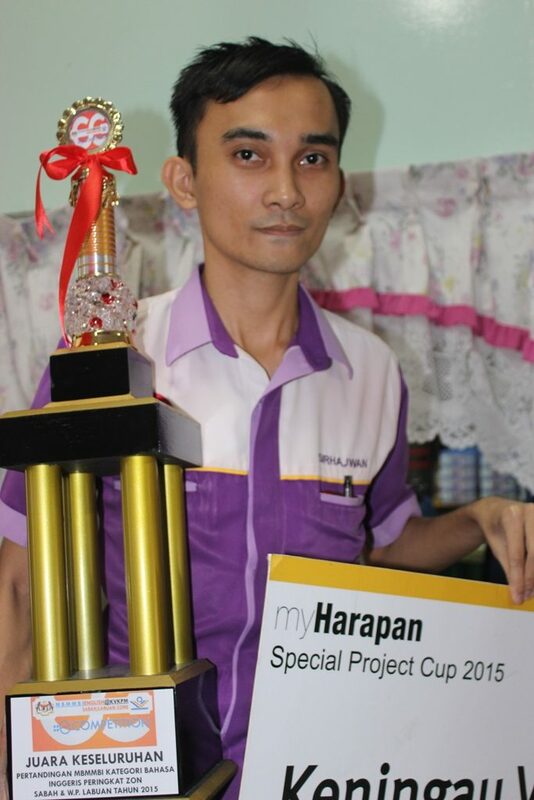 Sirhajwan is a great example that it really is possible for teachers from Asia to win international awards and recognition, and that when talent and passion for teaching come together the lives of students are affected in many positive ways. Meet Sirhajwan and learn about his inspiring story. Why did you decide to choose a teaching career? Sirhajwan: I wanted to contribute to the betterment of the society and being a teacher would empower me to make changes by teaching the younger generations to be competent and confident individuals who will assume essential roles in the society and create positive changes in the world. What are the biggest professional challenges for you currently? Sirhajwan: I always wonder how to maintain the practice that I want the students as well as the teachers to keep on doing in order for them to grow professionally and personally. This involves pursuing their passions, honing their talents, discovering their potential and incorporating creativity into all they do. It is crucial for us to be able to make every initiative we take successful. What motivated you to take part in the Macmillan’s Teachers At The Heart Competition? Sirhajwan: I first doubted that I could win this competition and the idea of taking part in it seemed just crazy as there are many great teachers in the world, thousands of them, and I am just an ordinary teacher. However, I felt that I should just take part as a way for me to evaluate and reflect on my own performance as a teacher. In addition, I have always encouraged my students to take part in any competition no matter how challenging as I wanted them to learn to take risks, believe in their own capabilities and have positive attitudes and open minds. Could you tell us more about the project you submitted for the competition? Sirhajwan: The project “HIVE” which stood for Highly Intellectual Valiant Enthusiasts was a project that aimed to enhance students’ skills in English as Second Language (ESL) especially in speaking and to promote the development of higher order thinking skills (HOTS) among the students. 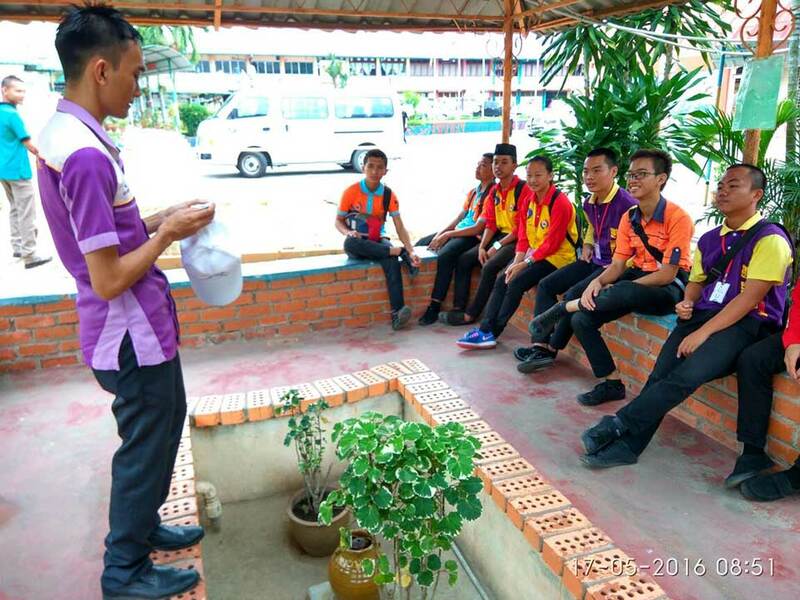 I am teaching at a school located in the interior region of Sabah, a state in East Malaysia, where the students have little confidence in using and speaking English as they have little exposure to English language and also they could barely apply critical thinking skills adequately in learning. Thus, I decided to come up with a project that involved the application of thinking tools such as thinking map and six thinking hats that are being promoted worldwide by Thinking School International headquartered in the United Kingdom. The students were introduced to these tools and I personally applied them in my ESL classes, where I focused on speaking activities to develop confidence in generating ideas and expressing them in English. I extended the application of these tools into my coaching sessions for co-curricular activities such as public speaking, debate, innovation and entrepreneurship contests that required the students to use their thinking and speaking skills. As a result, they became more confident and comfortable in expressing their thoughts in English. What was your reaction when you found out that you were among the 5 global winners? Sirhajwan: I was so surprised that I found it hard to believe, I had to read the email several times before I could assure myself that this was not a dream. There are many great teachers in the world and for me to be named as one of the five global winners was such an honour. I felt grateful that I was selected to be one of the winners and this was a validation of my efforts and it made me feel more motivated to do better and give more to the students. Could you tell us more about the 2-week NILE course you’ll attend as your winner’s prize? Sirhajwan: The course that I have selected will be held from 1st of August 2016 until 12th of August 2016 and it is about the development of ELT Materials. I hope I can learn practical skills from the course that I will be able to apply in my school. My goal is to develop ESL materials that could cater to my students’ level of proficiency, as well as vocational courses as I am teaching in a vocational school. How has winning at the Macmillan’s competition influenced your career, and perhaps also life…? Sirhajwan: The victory was a huge leap in my career and ambition, I received lots of recognition that I don’t think I deserve at all. I made appearance in newspapers, televisions and radio channels. News about my victory went viral and winning the competition by me was even announced by our Minister of Education during the opening ceremony of our National Teachers’ Day celebration. I have become more motivated to help my students acquire English language, communication skills, creativity and critical thinking and develop confidence and I am now planning to extend my reach to include teachers and young learners too. I have also decided to broaden my scope in promoting English language through the incorporation of art and literacy, technology and higher order thinking skills into my classes, workshops, outreach programmes and coaching sessions. I also believe that the victory has opened more paths for me to realize my potential. My winning in the Macmillan Scholarship Contest has helped me to secure a position as a delegate in Asia Pacific Week (APW) organized by Australian National University in Canberra Australia on June 26th until July 1st, 2016. The selection of the delegates for the conference is really competitive and only 100 students and scholars from all over the world are selected annually. The purpose of the conference is to discuss and debate on important issues affecting Asia Pacific region and since I am a teacher, I would emphasize the role of education in developing Asia Pacific region, and that Macmillan is a great source for teaching and learning materials and methods for Asian teachers. In addition, my winning has strengthened my application for research grant from SEAMEO QITEP (Southeast Asian Ministers of Education Organization). I am one of the recipients of SEAQIL REGRANT 2016, a grant for research in language, and my research is about enhancing higher order thinking skills in English language reading comprehension which is related to my initiative in promoting ESL and HOTS. Most of the articles and activities that I use in my module for this research are from Onestopenglish, a Macmillan website that contains various materials and resources for English teaching and learning. I will be presenting the findings of my research in conferences and share my ESL reading module with other teachers. If there is one message you could share with all teachers in Asia who will read this post, what would it be? Sirhajwan: I believe that teachers in Asia are very talented and I am confident in their skills and experience. Every one of us has our own potential and passion. Therefore, we ought to keep pursuing what we love to do and we will always emerge triumphant no matter what. I personally think that the true accomplishment of a teacher comes from a sense of satisfaction that they achieve from what they do. So whatever you are doing that feels right, keep doing it!!! Read more about the Teachers At The Heart Competition here.